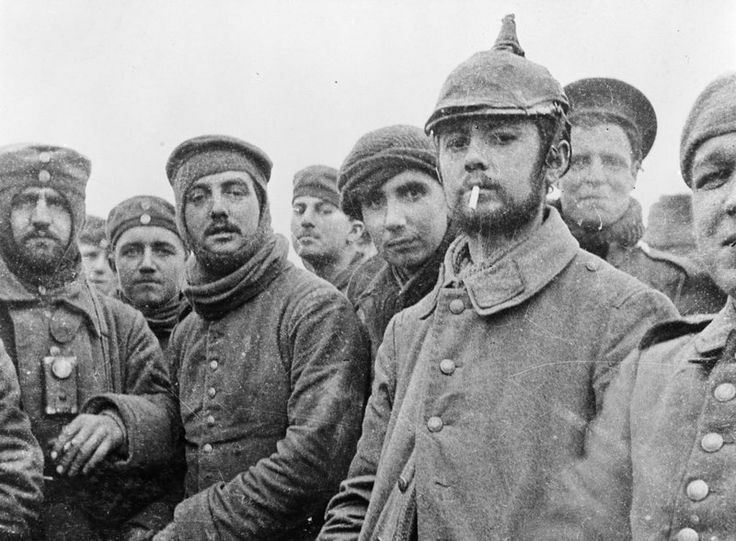 On Dec. 25, 1914, five months into World War I, British and German troops on the Western Front stopped fighting in a spontaneous ceasefire; soldiers from opposing nations put their weapons aside to enjoy carols. The crushing German advance had been checked by the allies before it could reach Paris. The opposing armies stared at each other from a line of hastily built defensive trenches that began at the edge of the English Channel and continued to the border of Switzerland. Barbed wire and parapets defended the trenches and between them stretched a “No-Mans-Land” that in some areas was no more than 30 yards wide. Frank Richards, an eyewitness, wrote in his diary, We stuck up a board with ‘Merry Christmas’ on it. The enemy stuck up a similar one. Two of our men threw their equipment off and jumped on the parapet with their hands above their heads as two of the Germans did the same, our two going to meet them. They shook hands and then we all got out of the trench and so did the Germans. Richards explained that some German soldiers spoke perfect English with one saying how fed up he was with the war and how he would be glad when it was over. His British counterpart agreed. When it ended,” eighteen-year-old Alfred Anderson, a Scottish soldier recalled,”there was a short time of silence. Then one of ours began singing `The First Noel.’ Halfway through, it was as if our entire regiment was singing.” When the British followed with “Oh, Come All Ye Faithful,” German soldiers joined in with harmony of the Latin version,”Adeste Fideles. The Germans seem to have made that first move. During the evening of December 24, they delivered a chocolate cake to the British line accompanied by a note that proposed a cease fire so that the Germans could have a concert. The British accepted the proposal and offered some tobacco as their present to the Germans. Enemy soldiers shouted to one another from the trenches, joined in singing songs and soon met one another in the middle of no-mans-land to talk, exchange gifts and in some areas to take part in impromptu soccer matches. The truces ended that night or the following morning. A British captain wrote of how the Royal Welch Fusiliers resumed the war: At 8.30, I fired three shots in the air and put up a flag with ‘Merry Christmas’ on it, and I climbed on the parapet. He [the Germans] put up a sheet with ‘Thank you’ on it, and the German Captain appeared on the parapet. We both bowed and saluted and got down into our respective trenches, and he fired two shots in the air, and the War was on again. Silent Night, Holy Night. All is calm. All is bright. Round yon Virgin mother and child. Holy Infant, so tender and mild. Sleep in heavenly peace. Sleep in heavenly peace. 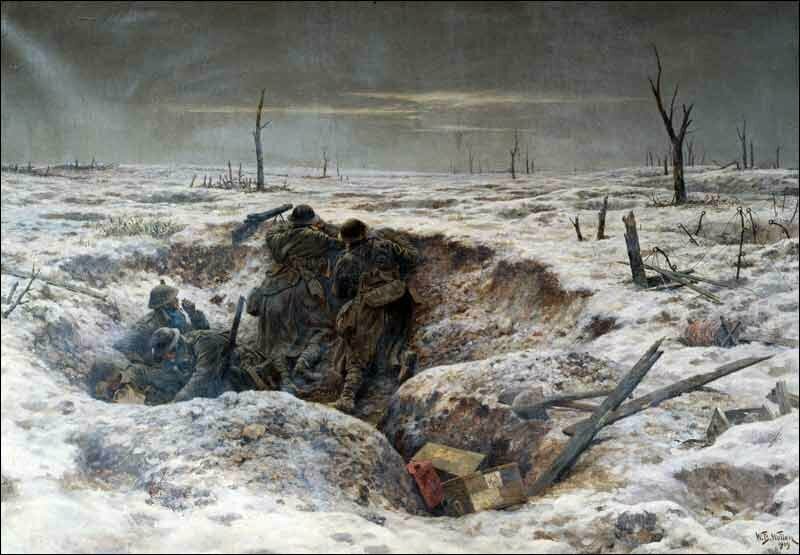 Posted in Uncategorized and tagged "Silent Night, Christmas Eve, Germans, trenches, truce, WW I. Bookmark the permalink.